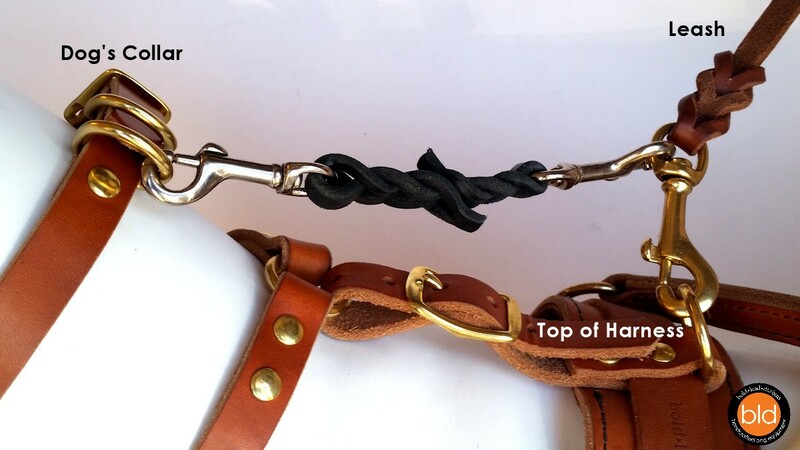 Double-ended safety cord serves as a back-up attachment for your leash. 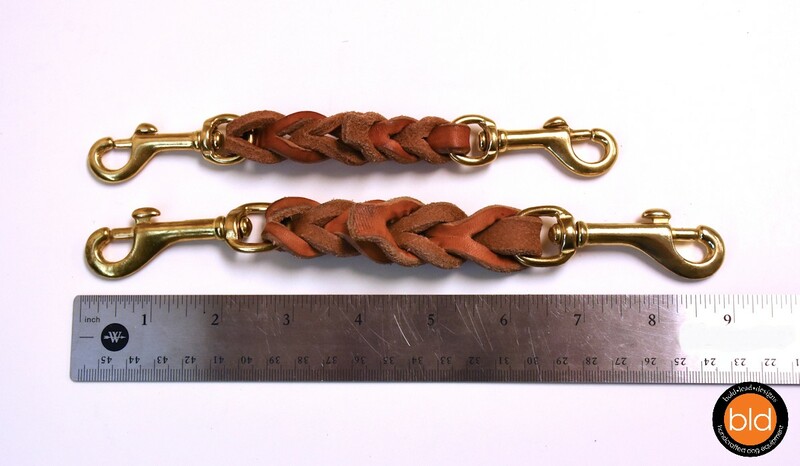 Use with head halters, prong collars, martingales, front clip harnesses, or any type of training tool as a fall-back plan. Just in case. Why? Because sometimes you need peace of mind by having two points of attachment. 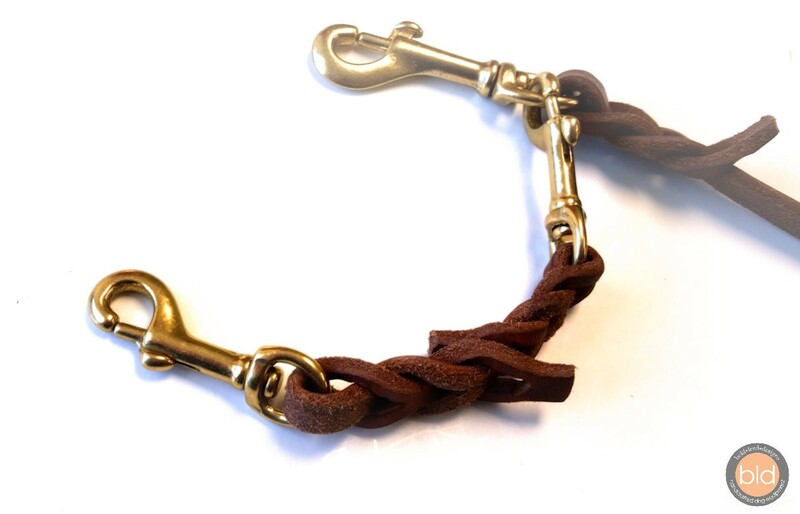 Excellent option for Houdini dogs who somehow wriggle their way out of their gear or shake loose from the leash clip. 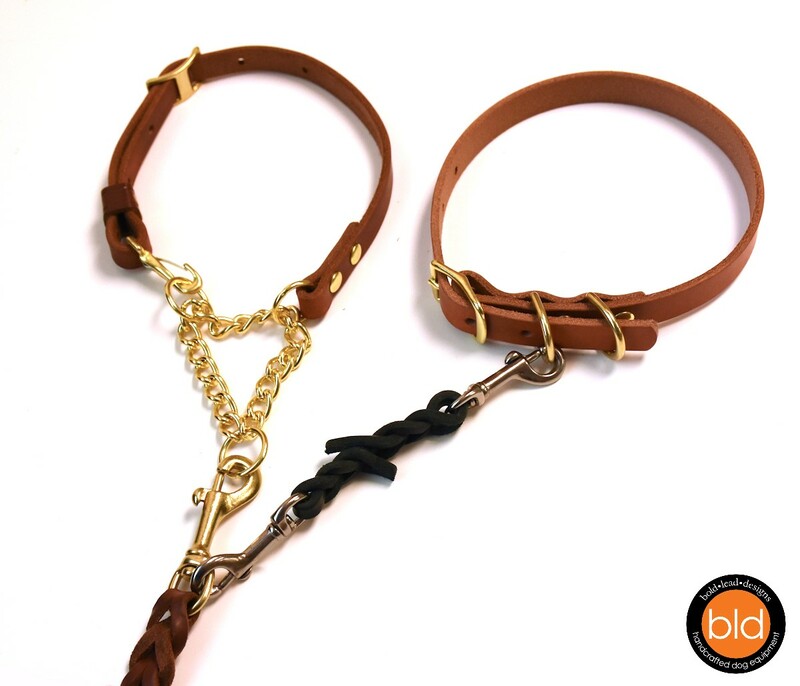 Attaches to any leash, halter, harness, or collar. Intended as a secondary attachment to back-up your primary gear. 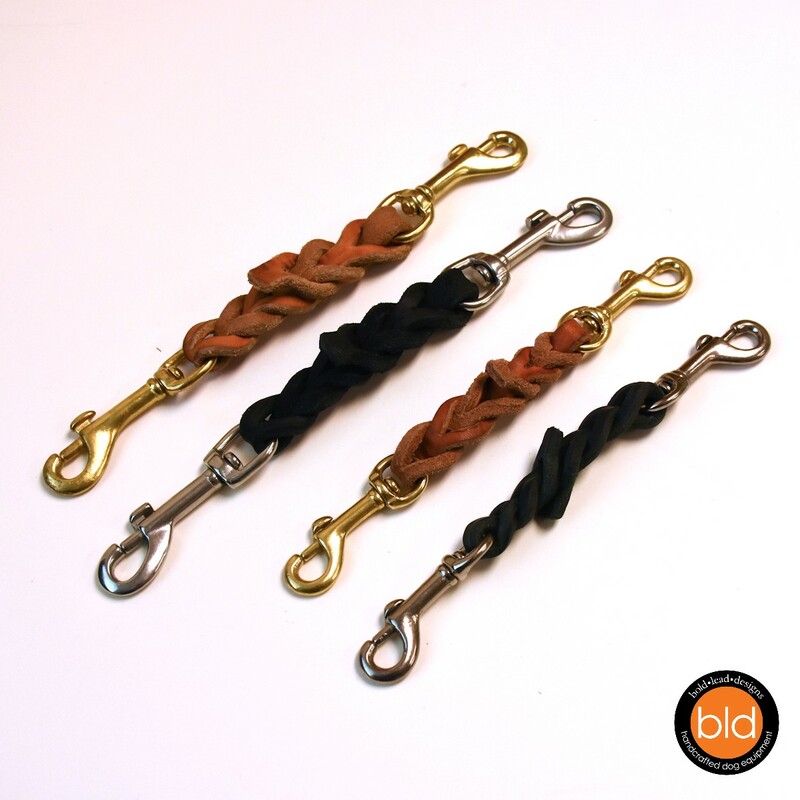 Crafted with the same quality leather and hardware found on all of BLD’s products.